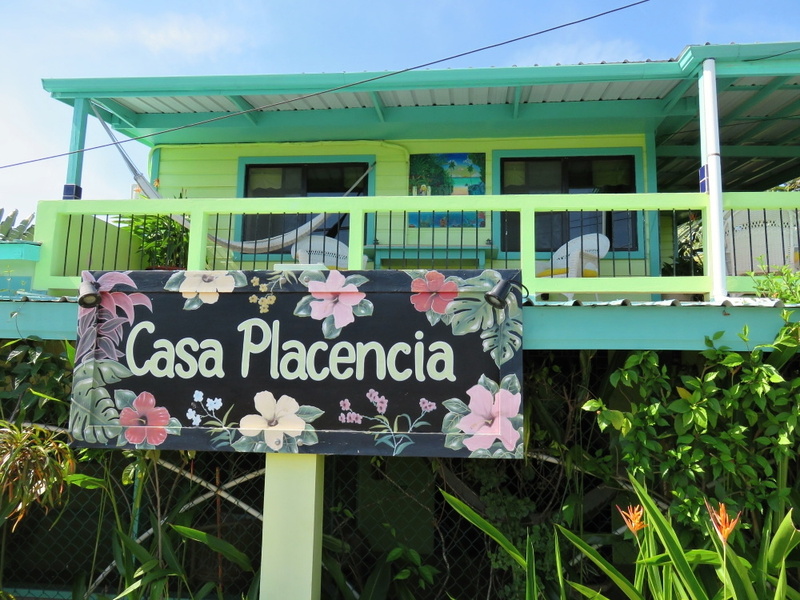 Just a 3 minute taxi ride or a 10 minute stroll north of the village, I check into the very cutest spot and most homey, Casa Placencia. A labor of love – each room filled with color and art and personal touches. 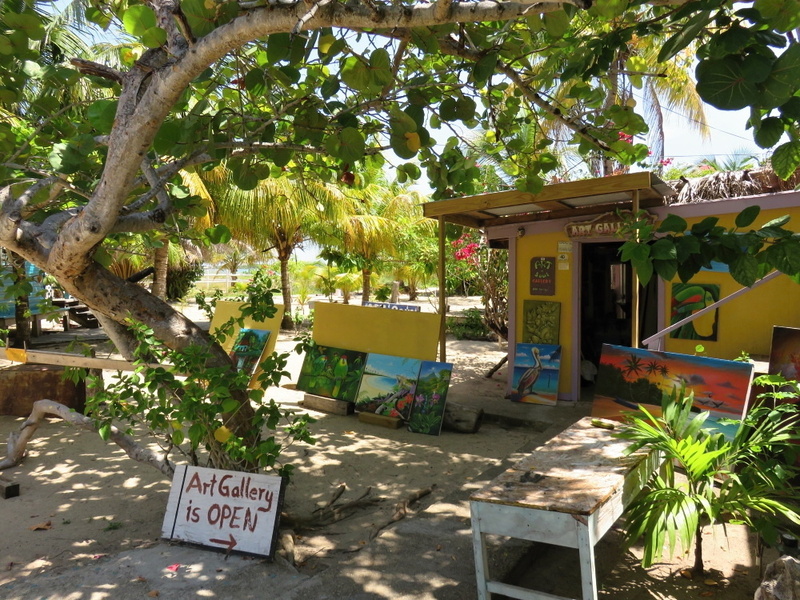 Mosaic tiles everywhere done personally by the owner – Jackie – in her over 30 years in Belize. I took so many pictures but I’ll save them for later. And I slept soundly – to put it mildly. 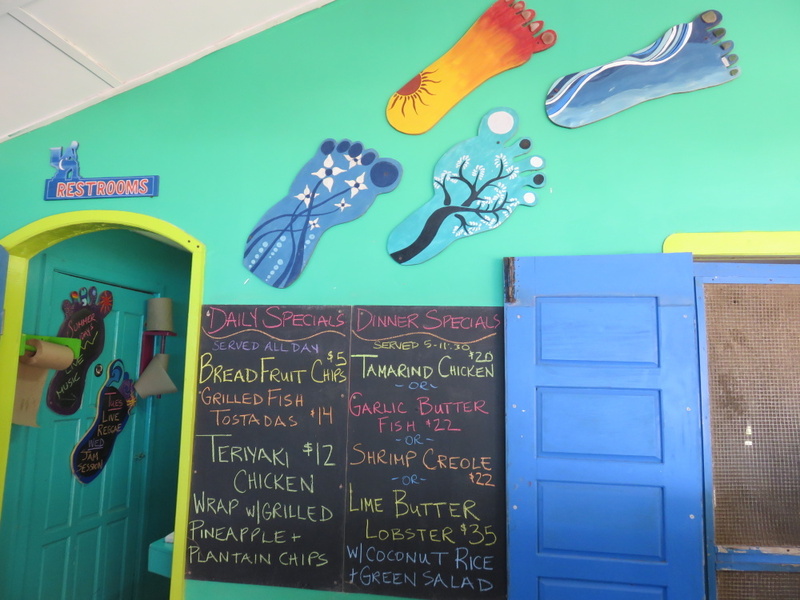 A 9 hour travel day (from San Pedro to Placencia) and a large crab dinner is exhausting. Up early the next day, I set out to find some coffee, breakfast and to take some pictures before the serious heat set in. There wasn’t a rain cloud in the sky. 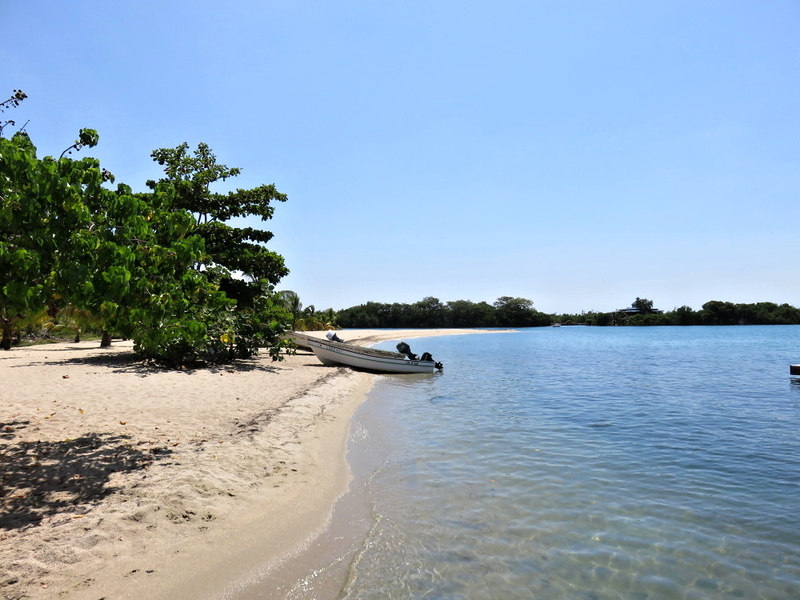 The Placencia Peninsula is a 16 mile long sand bar that until a few years ago, was accessible by the dirt/sand road. 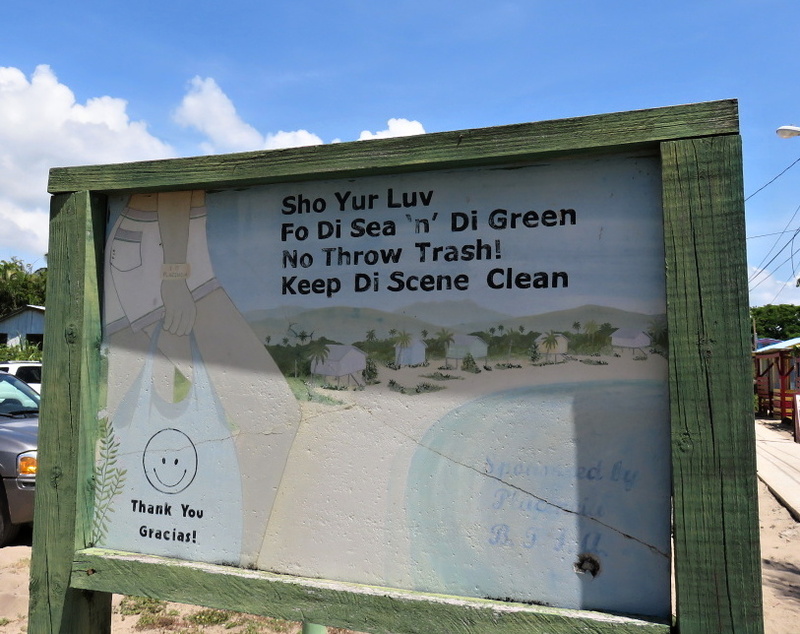 Much was undeveloped but that is changing rapidly. 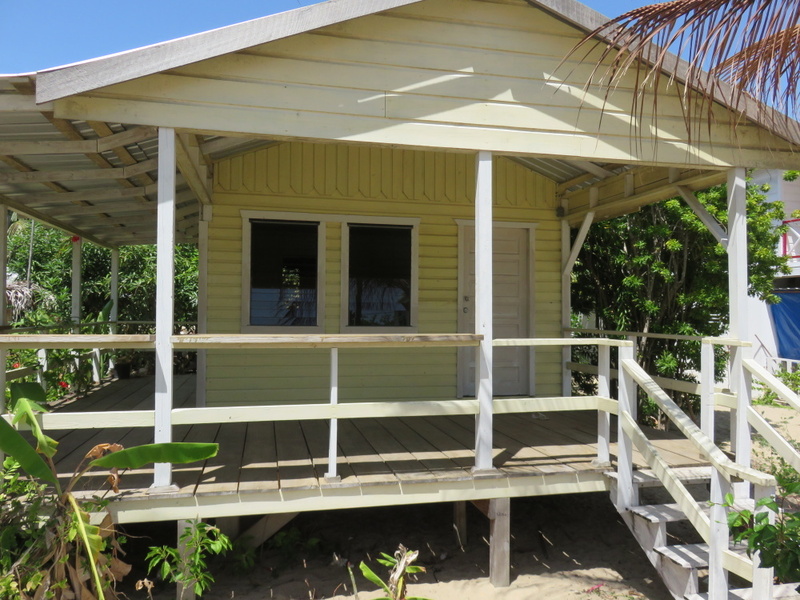 In Placencia village proper, there are quite a few signs and offices for large developments, some mega-mansions, on this space. 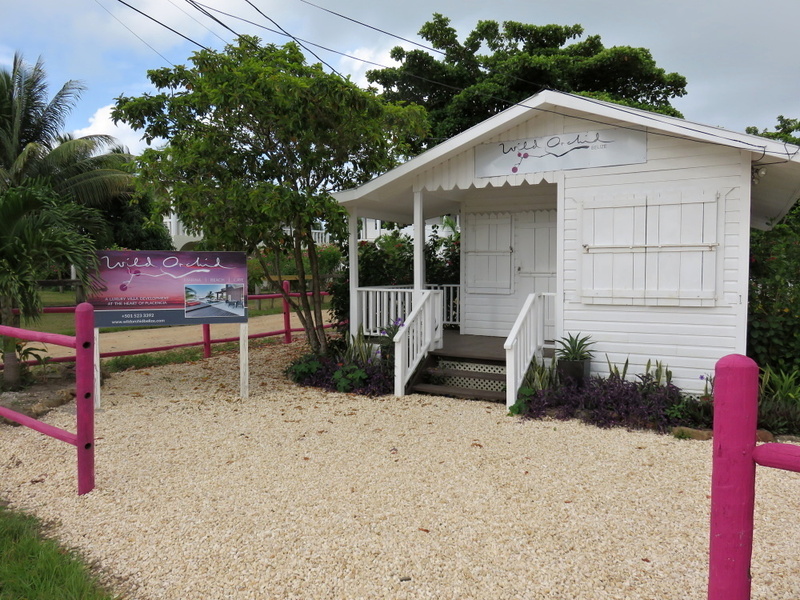 Wild Orchid has their sale shop. 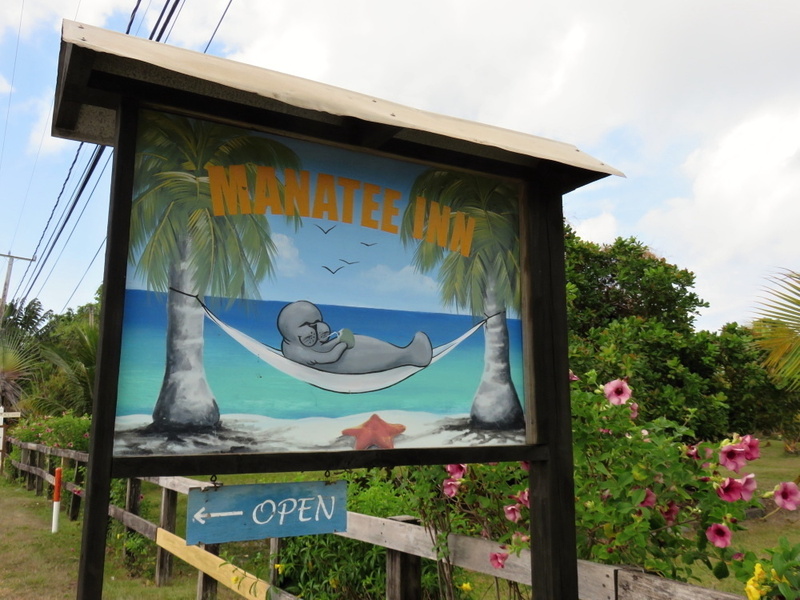 This very cute sign for Manatee Inn. I stopped for my first latte at Brewed Awakens. Lovely LOVELY people and some very good coffee and seaweed shakes. 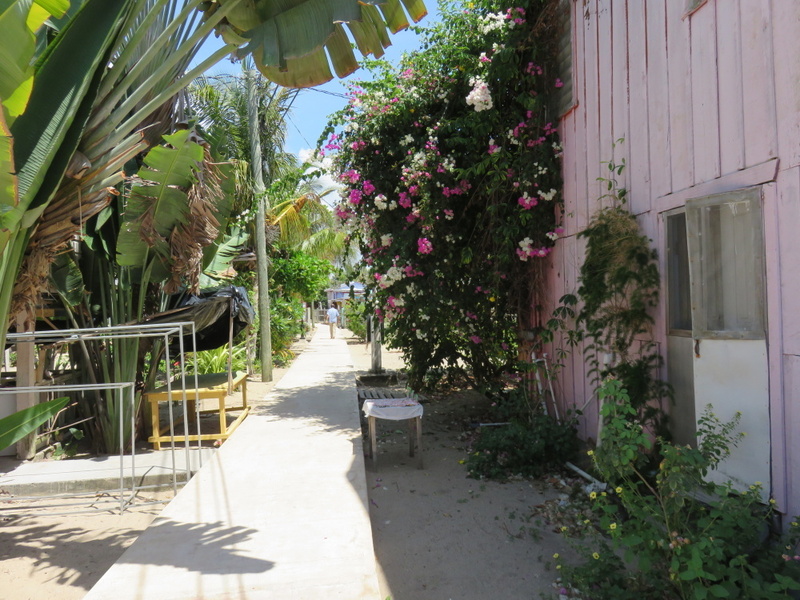 The place keeps growing each time I visit Placencia. Open and ready to serve at 6:30am. It’s a good thing. 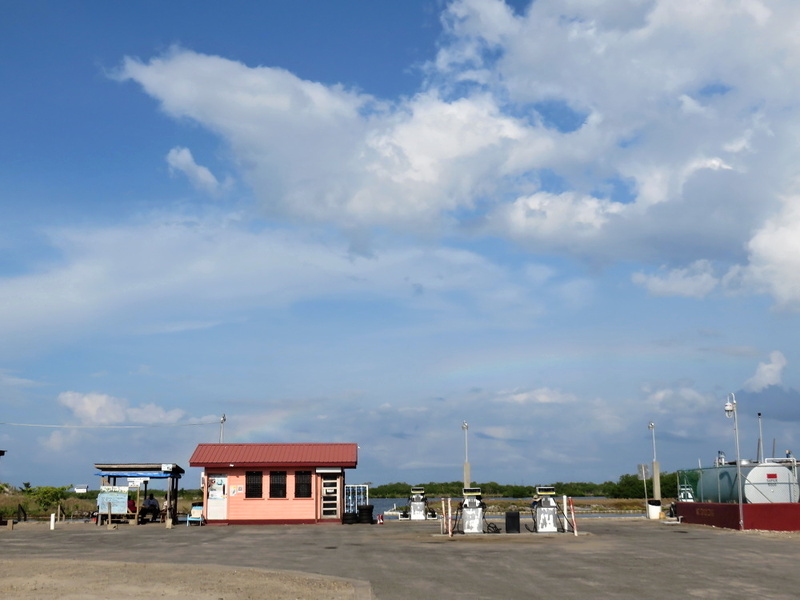 Sipping my latte, I kept walking south and spotted a huge but dim rainbow over the gas station/Hokey Pokey water taxi terminal on the lagoon side. Basically in the photo? Nothing. But you can see what a pretty RAIN FREE DAY it was going to be. They get no bonus points for sticking with the cute colorful village theme. 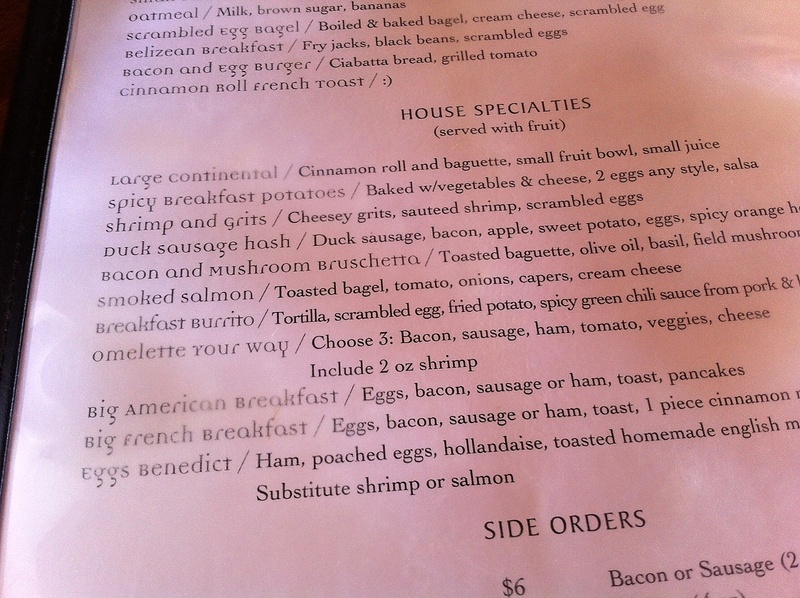 I was ready for Above Grounds Coffee…my usual latte, bagel and blogging site. And found that, cruelly, they are closed on Wednesday. 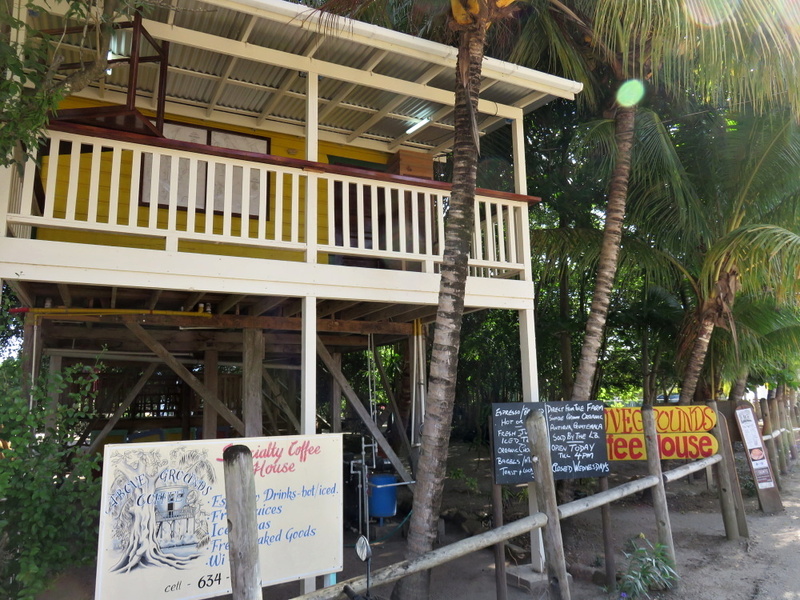 And got thinking about the endless coffee play on-word-cafe names you can come up with. Brewed Awakenings is a great one. Above Grounds is perfect for this place. 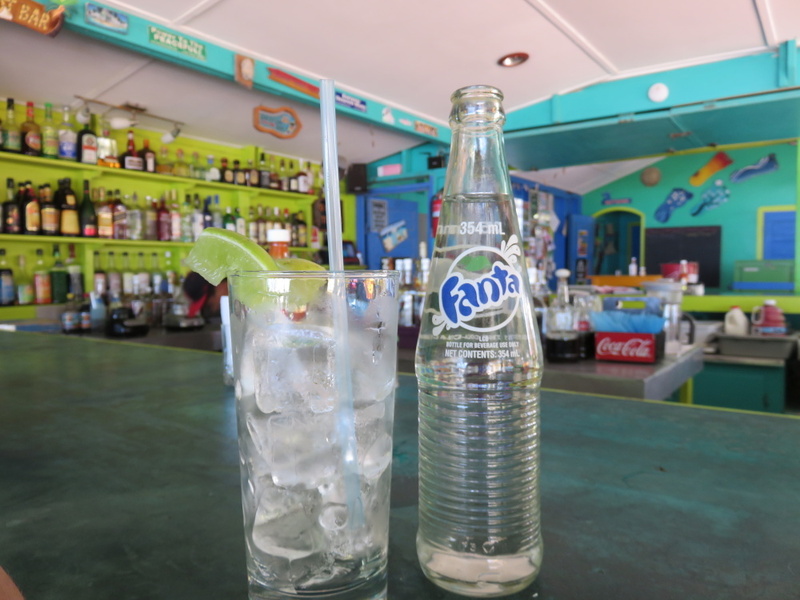 Caye Caulker’s Ice & Beans. Conveniently there is a website with these clever names…Brew Ha Ha (ugh), Cup-A-Cabana (LOVE), the Latte-Tude Cafe, Espresso Yourself. Puns are good times! 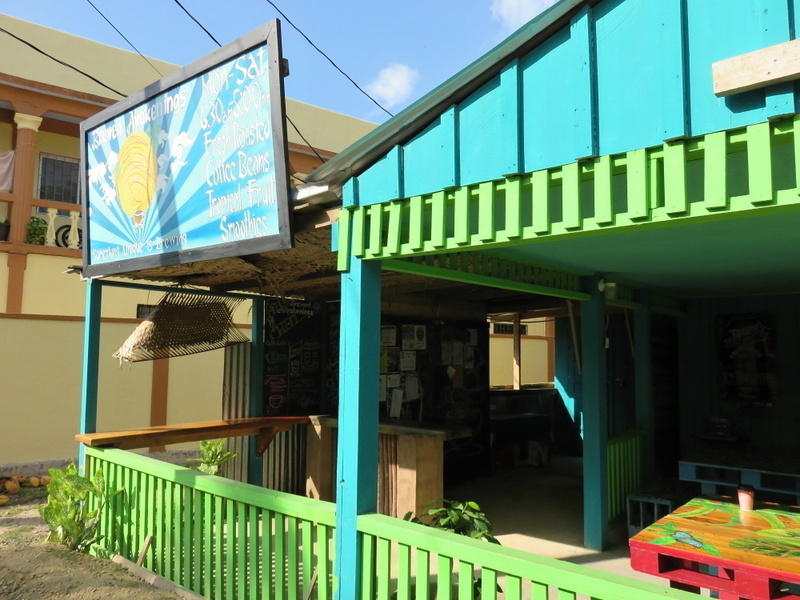 Coffee shop closed, I headed just across the street to another favorite, Wendy’s Creole for some coffee, some internet and my very favorite…the coconut flan. 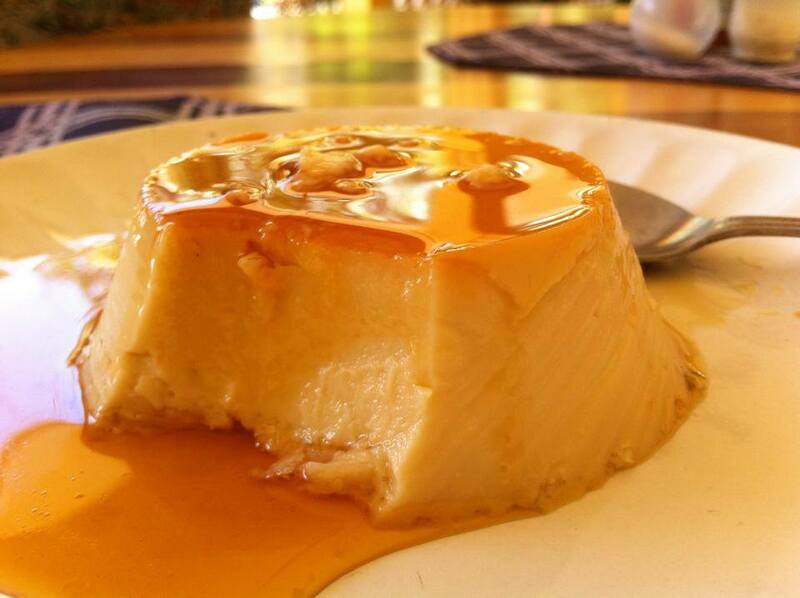 A picture of my gorgeous dessert/breakfast. 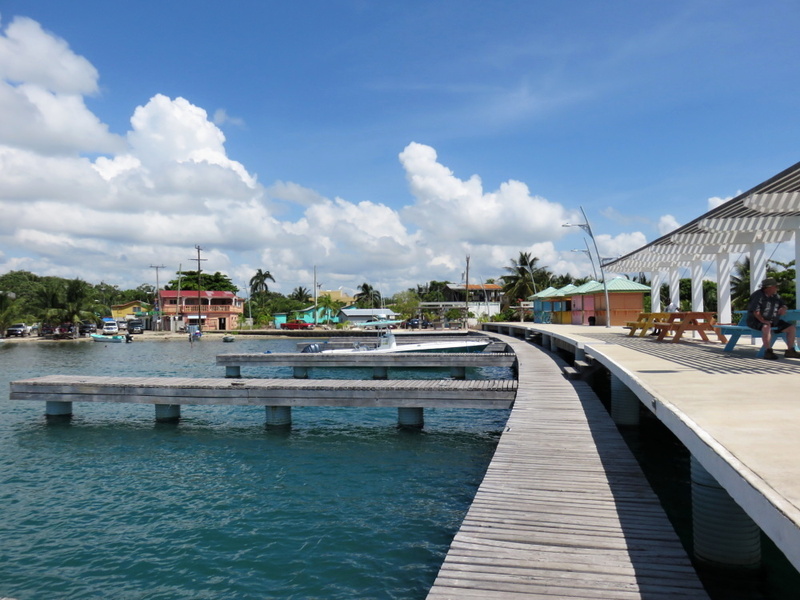 I walked to the tip of the Placencia (not far at all) and out to the fancy municipal pier. 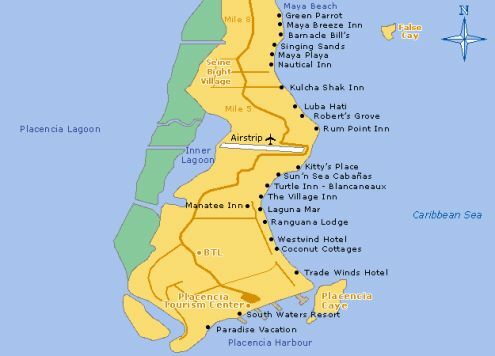 Here’s a simple map, a bit outdated, but gives you a feel for the shape of the village. 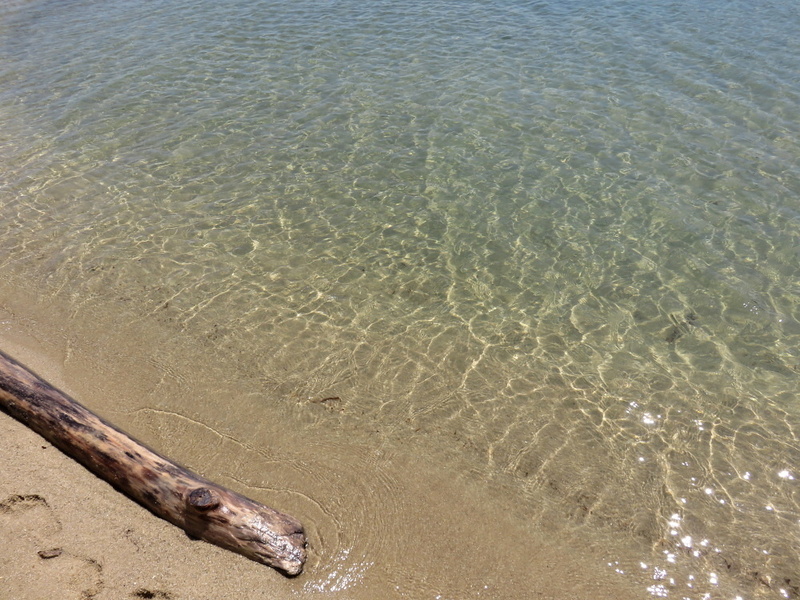 The breeze was coming off the lagoon side and the beach was HOT – even at 930am. Shoes are a must. 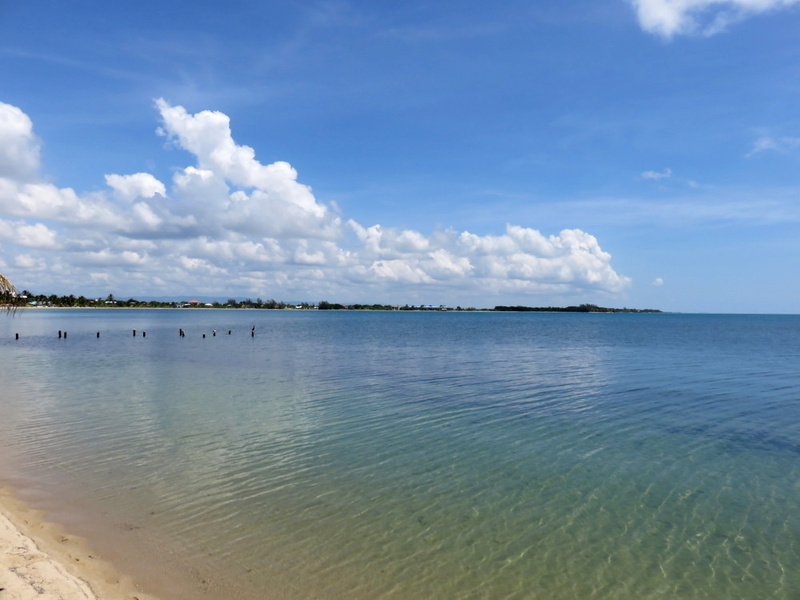 Perfect Stand Up Paddleboard or snorkeling weather. Perfect. I made my way to The Sidewalk. 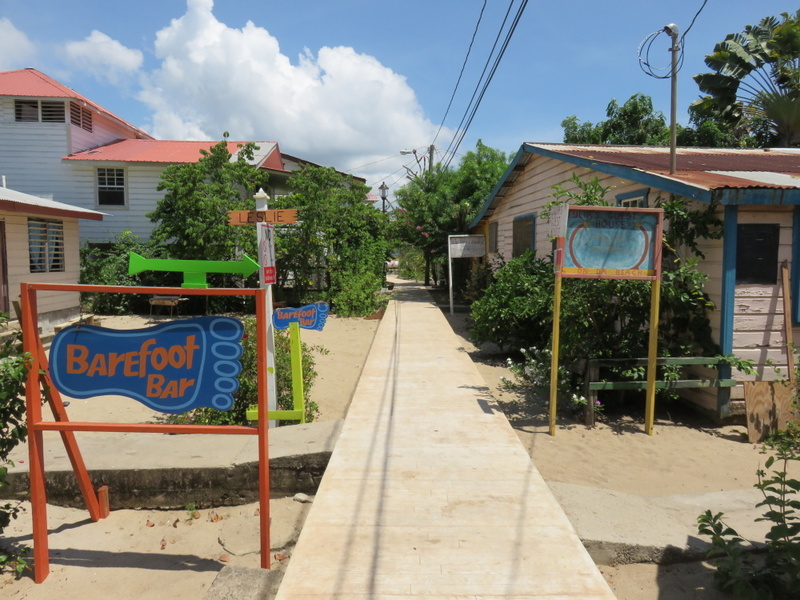 The two main thoroughfares in the village are “The Road” and “The Sidewalk”. 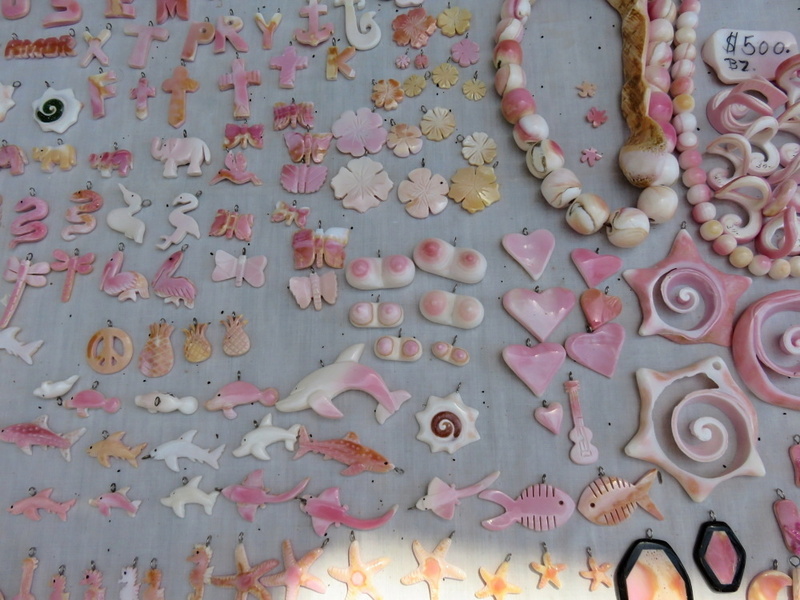 The conch carvers table. 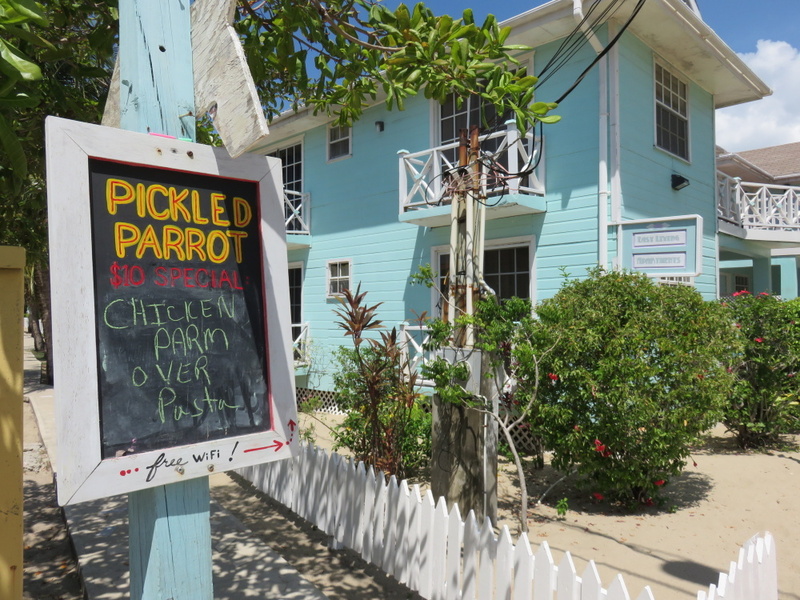 After years in Caye Caulker, the conch breasts have moved down south. 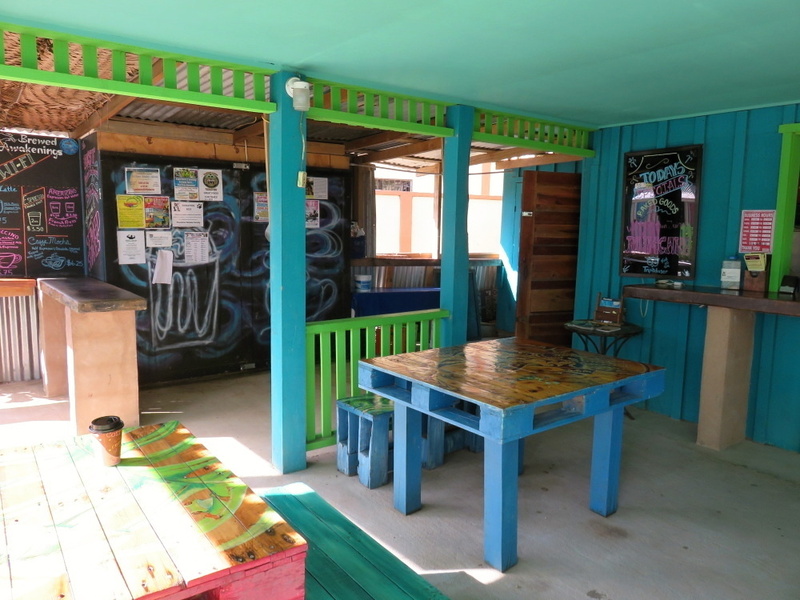 One of my regular stops, 2 Can Be Sweet, has closed. 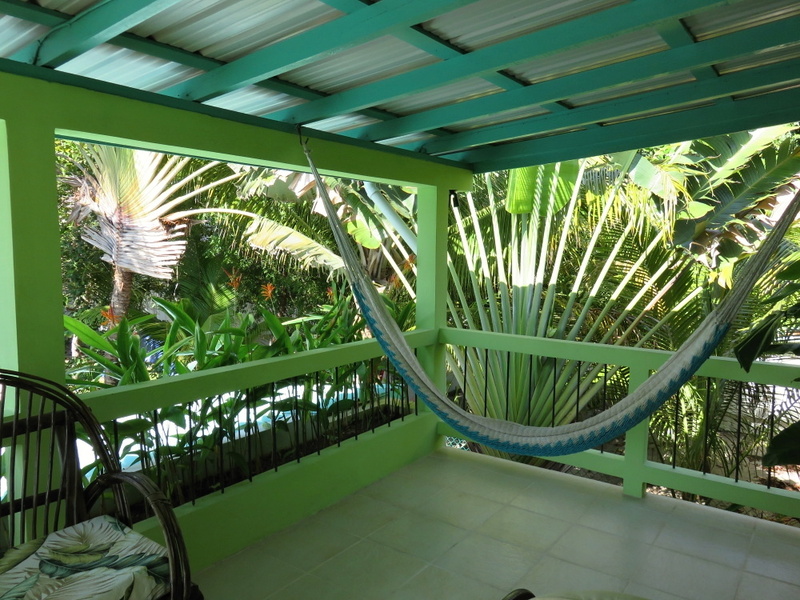 A great porch to drink their giant glasses of cold coconut water. 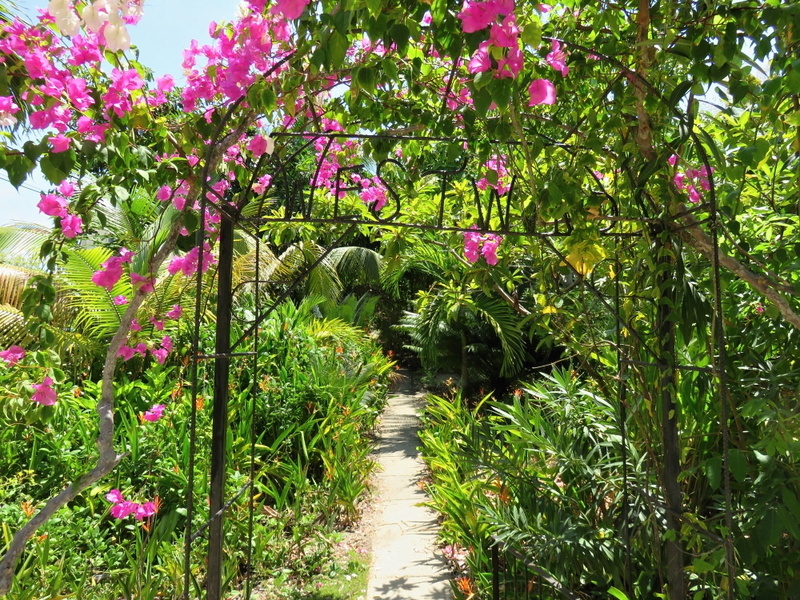 The pretty entrance way to Westwind Hotel. 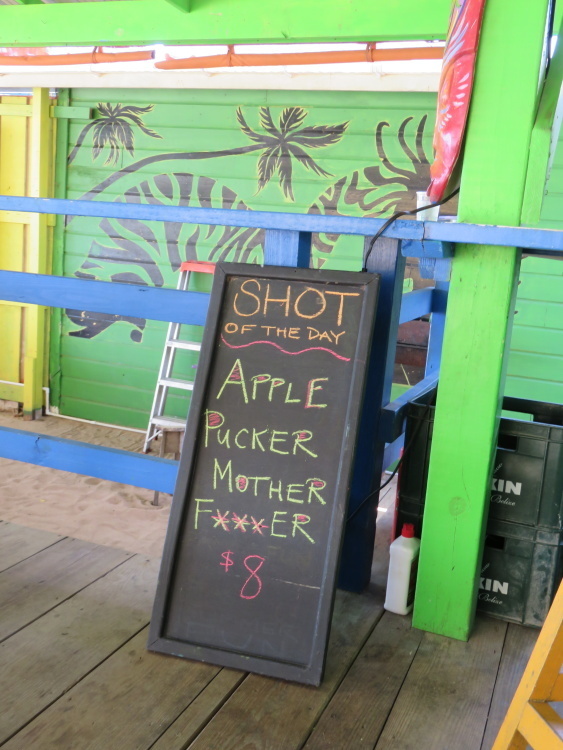 I stumbled down this sidewalk looking for something cold to drink. 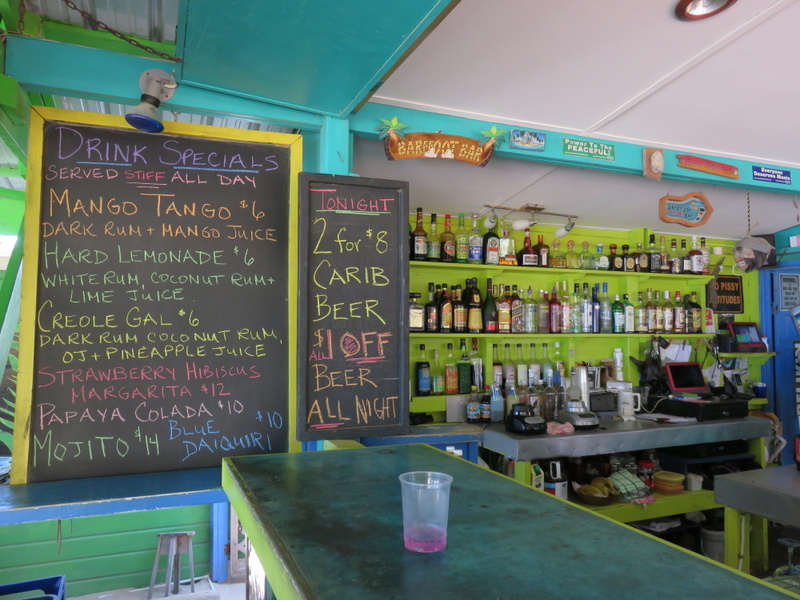 Barefoot Bar is just a color explosion. 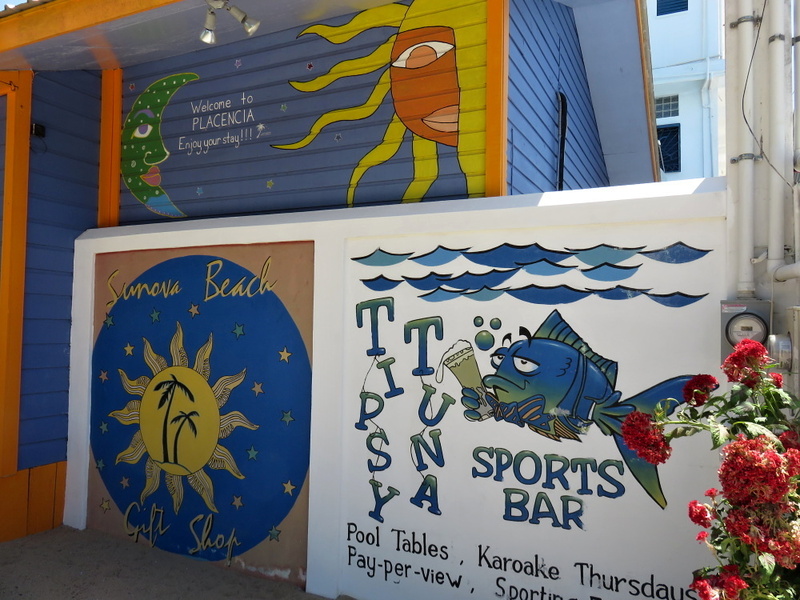 One million chalk boards, strong drinks, fun specials…there are lots of reasons to love this spot. And reasons that everyone ends up here at some point during their trip. Too many pictures. I will have to continue this later because now? 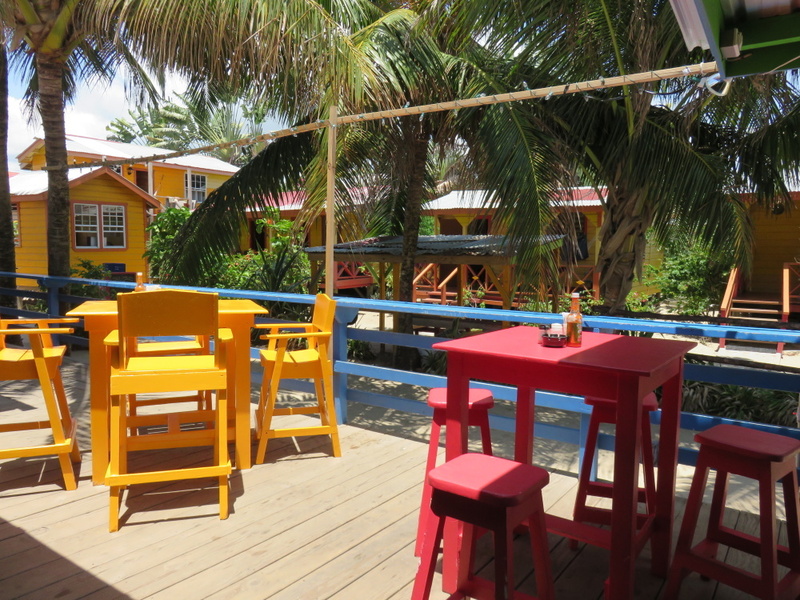 I must decided between a homemade bagel with cream cheese and lox of the world’s best cinnamon roll french toast at my favorite, favorite restaurant in Belize – Maya Beach Bistro. Life is very cruel sometimes. 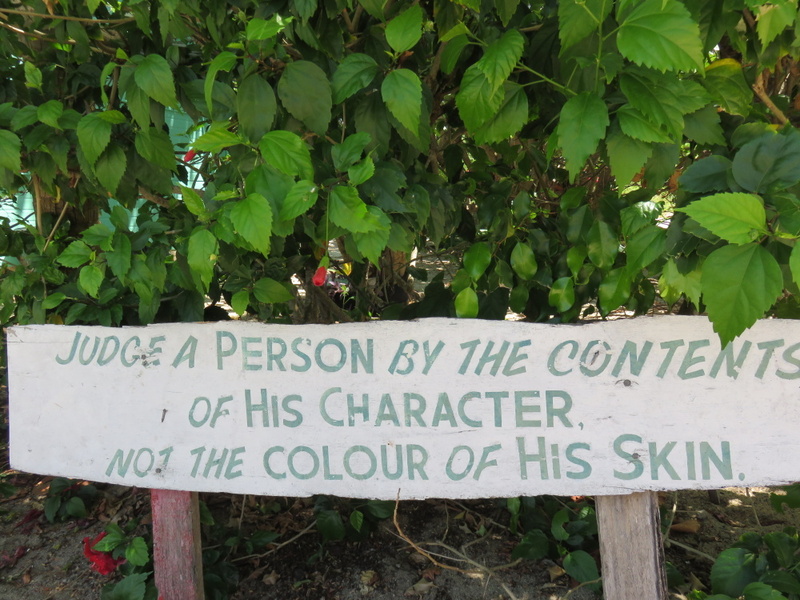 Saw that very rainbow over here in Monkey River Village right after we got the rain that missed you in Placencia. It was a hot day, but lovely if you could find a place in the shade. Today is another BEAUTY. 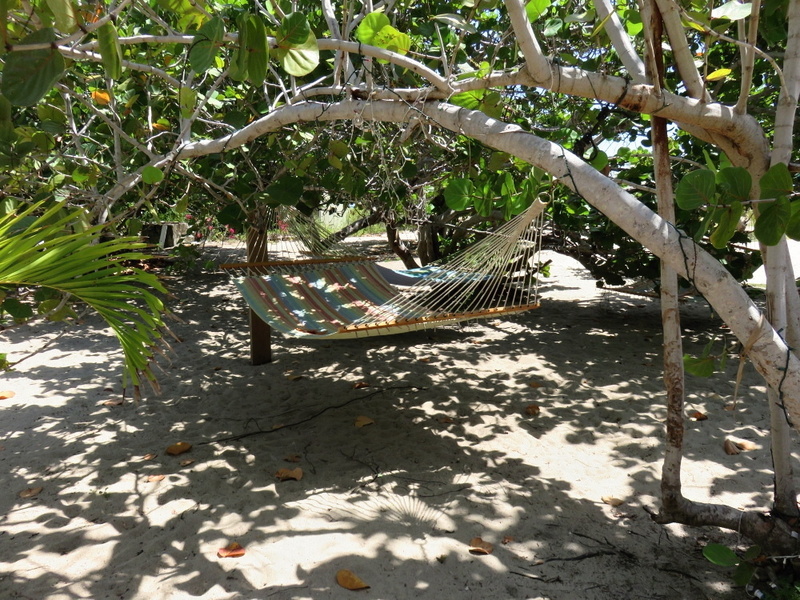 A perfect day in Maya Beach…WITH a great breeze. 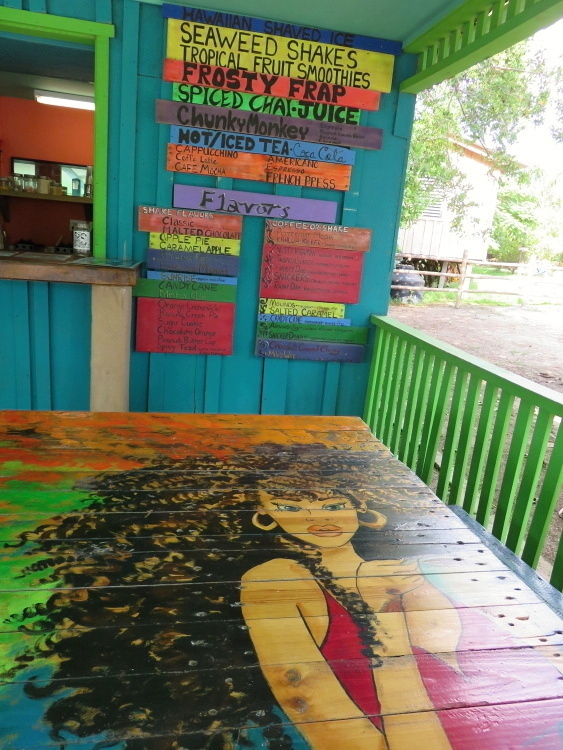 Always love your Placencia photos. Looks like you are the only one there! 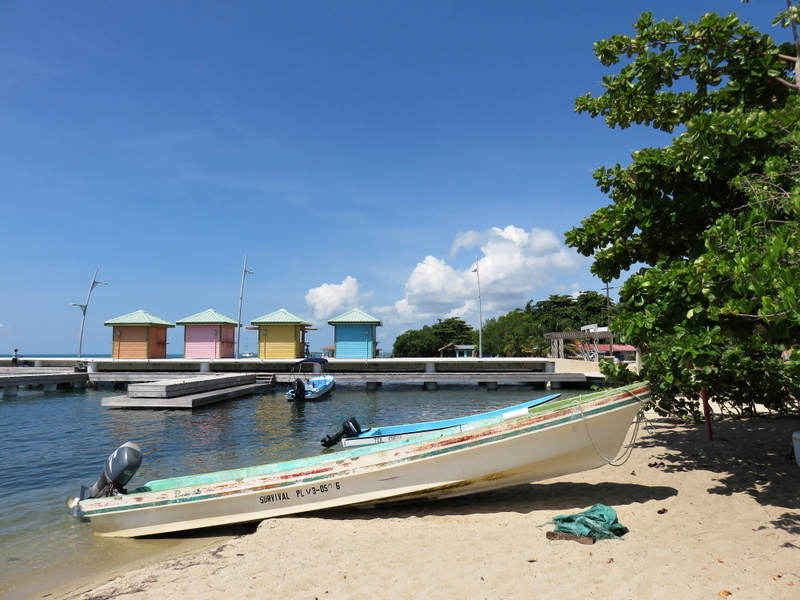 Placencia is an awesome little village that is growing quickly. So glad we came down from where we were. You were living up at Sanctuary and moved? 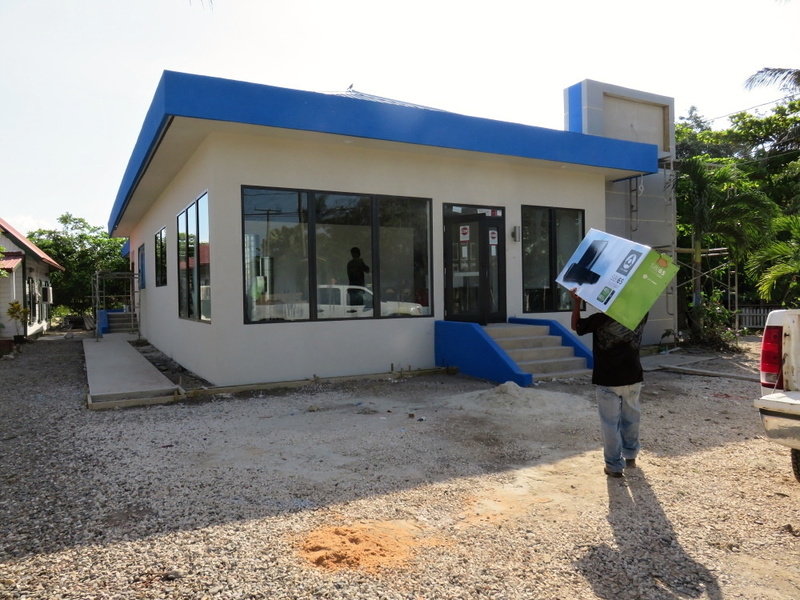 Yes, we were tired of the waiting and had another project come up in Placencia. The Peninsula Club. So we are anchored off the pier. Guiding them to get their marina together and running. Sanctuary’s is 2 years + away. I’m not ready for retirement. :-). Ahhhh gotcha. I have a feeling we will meet one day. What is your boat name again?